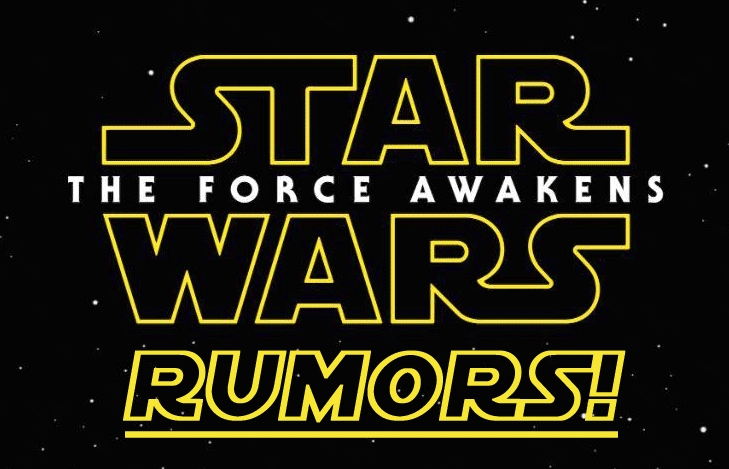 Rumors have been running rampant about the trailer for Star Wars Episode VII: The Force Awakens that we know is coming. It just seems to be a matter of when and how. Yesterday rumors began circulating that the trailer would be attached to Peter Jackson's The Hobbit: The Battle of the Five Armies. While that would make sense for a variety of reasons, it seems that may not be the case. Slashfilm is now reporting that the trailer will not be attached to the final Hobbit film, and that Disney has "bigger plans" for the trailer. Keep in mind, the trailer could still be attached to The Hobbit, but will just debut elsewhere first. As for what those bigger plans might be, no one seems to know. There are several theories of what they might be. Everything from the idea that Disney could rent out a bunch of theaters and invite fans to come out and just see the new trailer (as was done with Avatar), to the suggestion that the trailer could debut with a NFL Thanksgiving game (not buying that one in the slightest). My favourite theory is that Lucasfilm will do what Marvel tried to do with the Avengers: Age of Ultron trailer and release it on Television first. They could re-air the Star Wars Rebels two-parter "Empire Day" and "Gathering Forces" on ABC and debut the trailer during that (and then attach it to The Hobbit as well). Now it's just a matter of playing the waiting game until Lucasfilm/Disney let us in on their plans. If you're curious what the trailer will/could consist of, click here. I thought Episode VII trailer wad supposed to be released with Lucas' new animated film? So just to make it short, the Star Wars 7 trailer will be attached to the Hobbit, but it just won't debut there and will debut somewhere else in December like ABC during some broadcast of something. Re-air an episode? Oh no, they'll want to ladle this special sauce on a fresh dish for sure.